← Listen to those loopers! 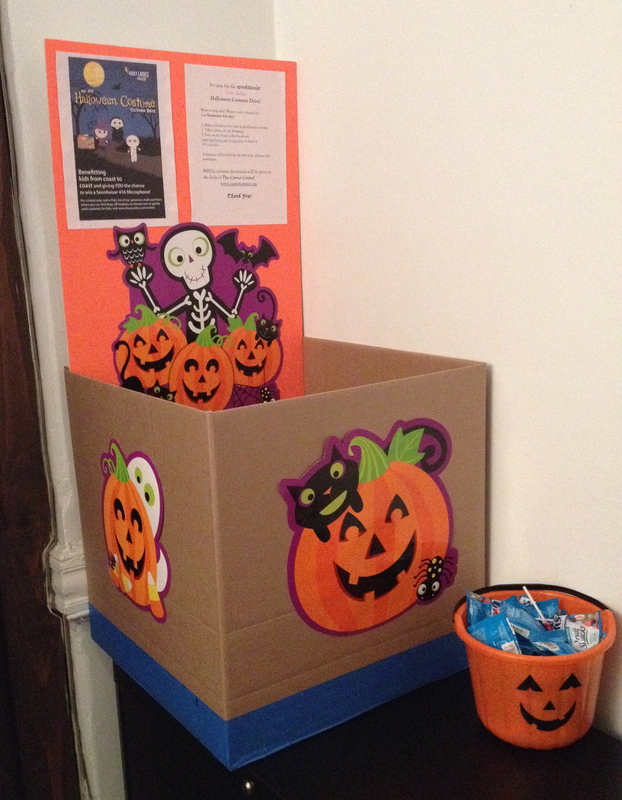 I just got back from Lotas Productions where I was able to record a quick audition with the nicest guy in the biz (aka Jim Kennelly), but best of all, where I dropped off the big collection box for this year’s costume drive! That’s right folks, it’s time for the spooktacular Voxy Ladies Halloween Costume Drive! Want to help kids? Want to win a chance at a new Sennheiser 416 microphone? Here’s how! A great big THANK YOU to the fabulous Jim Kennelly at Lotas Productions for sponsoring our costume drive in New York City! 1 Response to The Halloween Costume Drive is back!